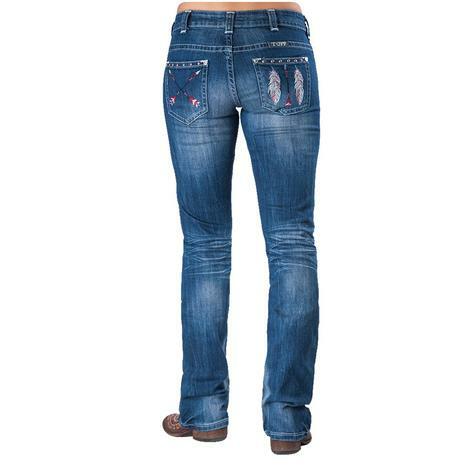 These women's Vintage Honey jeans by Cowgirl Tuff features cream stitching throughout, heavy distressing, light whiskering and Cowgirl Tuff's signature barbed wire embroidery on the back pockets. 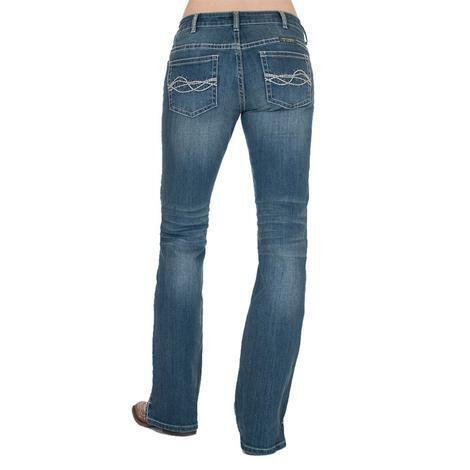 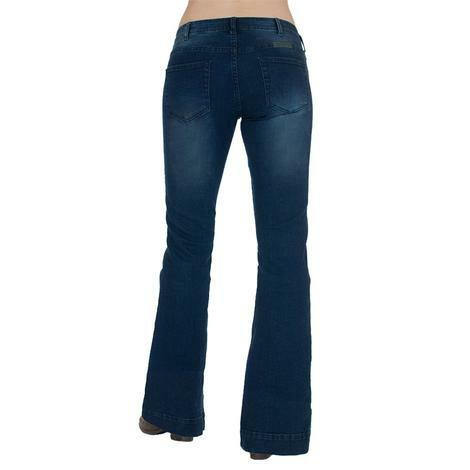 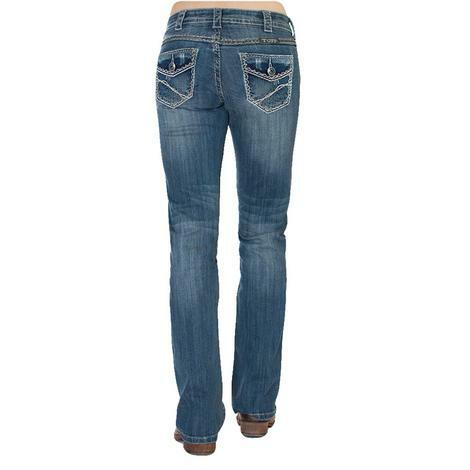 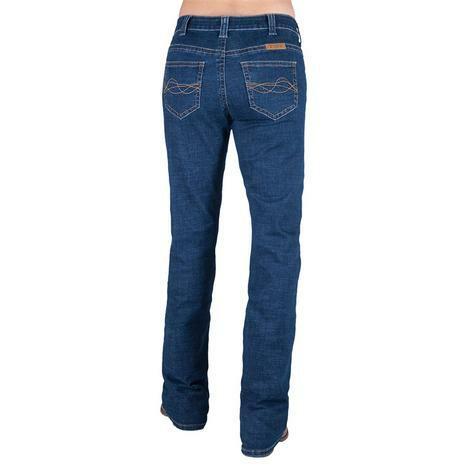 Other features include a classic rise, a button closure and bootcut leg openings. 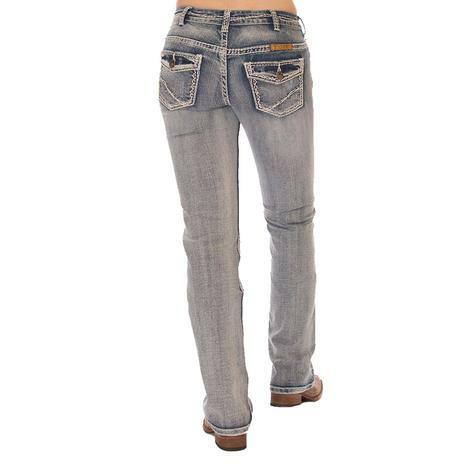 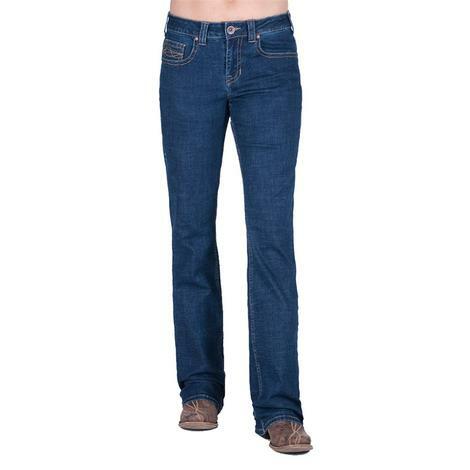 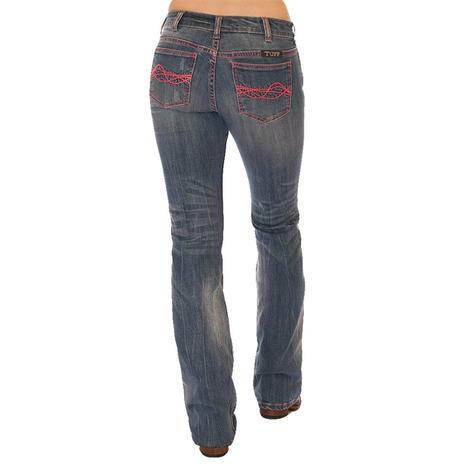 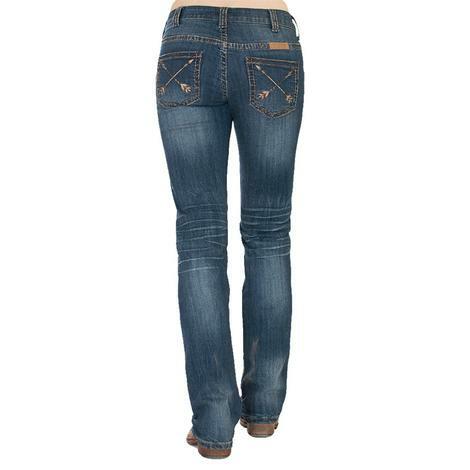 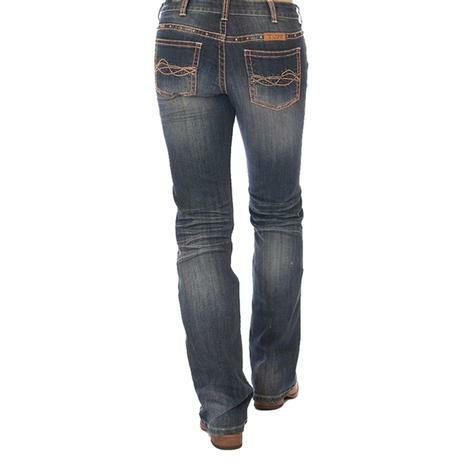 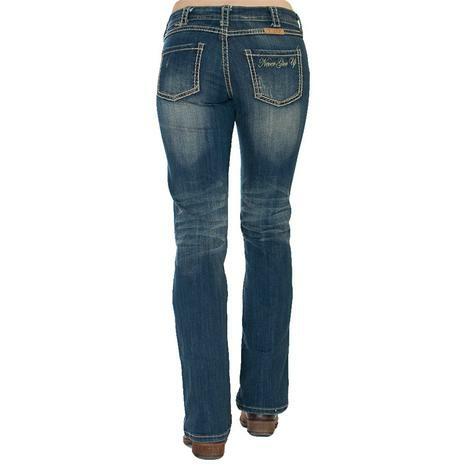 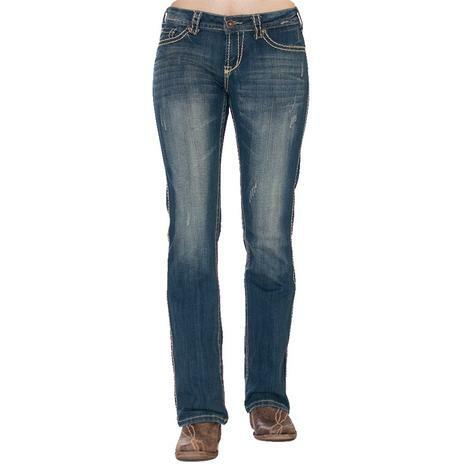 These women's No Limits jeans by Cowgirl Tuff features heavy whiskering and thick tan and cream stitching throughout. 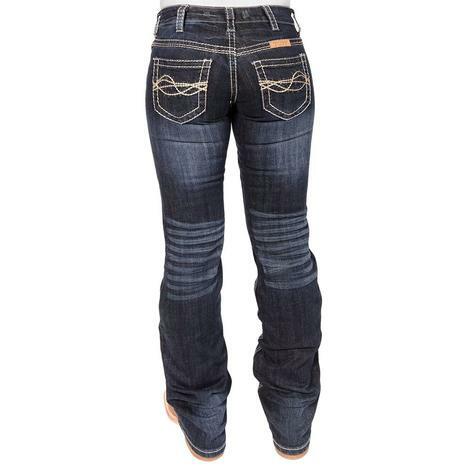 They have their trademark barbed wire back pockets, reinforced stitching and a mid-rise with the cover me up back.